It&apos;s Springtime! Spring means sun and sun means boxing away those itchy sweaters and pulling out your favorite breezy shorts. 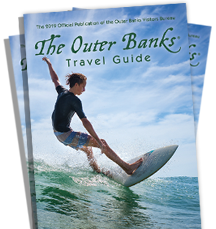 We&apos;ve rounded up fresh, fun finds on the Outer Banks this April including outdoor events, the latest hot spots to visit, and an opportunity to step out your comfort zone and try NEW things. 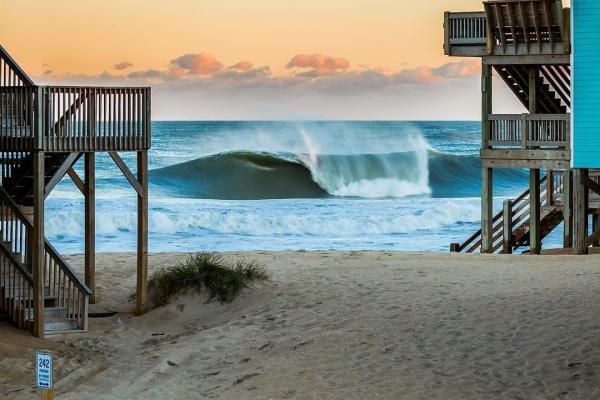 You may picture Spring Break on the beach as a crowded party, but not on the OBX...130 miles of shoreline promises a special slice all to yourself! If the beach is where you’ll be spending your Easter weekend, we&apos;ve got everything from egg hunts, live music, incredible food & specials, art shows and much more. 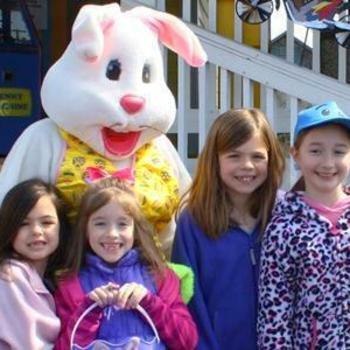 Head to the Dare County Parks and Recreation for the 22nd annual Easter EGGstravaganza held Saturday, April 6th at Family Recreation Park in Kill Devil Hills from 11:30AM-1:30 PM. Hop on down to Roanoke Island&apos;s Elizabethan Gardens for the largest egg scavenger hunt on the beach with thousands of eggs at their own Easter Event. Looking to mix things up? Kitty Hawk Kites adds high flying kites to their Flying into Spring And Easter Eggstravaganza while the NC Aquarium on Roanoke Island promises educational sea turtle programs combined with crafts and egg hunting. Scale the spiral stairs of Bodie or Cape Hatteras Lighthouse for breathtaking ocean views starting April 19. These iconic beacons of the East Coast never cease to astound. They’ve been here longer than any of us alive today, and they’re still keeping watch. 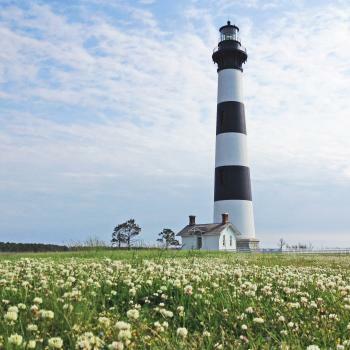 Beginning the third Friday in April, the Bodie Island Lighthouse will be open through Columbus Day (in early October). Climbing hours are every 30 minutes, and start at 9:15AM daily where tickets are required. Cape Hatteras Lighthouse, the tallest in America and arguably the most recognized lighthouse in the world, is open for climbing 9AM to 4:30PM daily and tickets are also required. 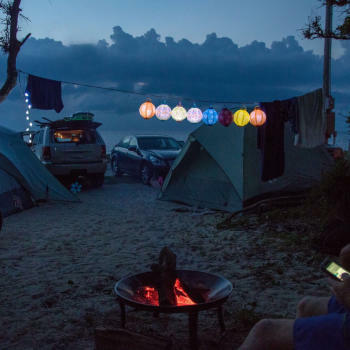 Dare County has three NPS campgrounds on the Cape Hatteras National Seashore and handfuls of private choices too, reopening this April for a new season. Ladies and gentlemen, start your motorcycles. Enjoy a ride along or kick back and enjoy good food, live music and bike shows along the way during Outer Banks Bike Week. Packed full with entertainment, great food, events and special attractions. Bike shows, poker runs, guided tours, party nights, live music, including outdoor concerts, a pig pickin&apos; & more! For those with your beach body in mind, join in on the Spring&apos;s most popular running jamboree, the Flying Pirate Half Marathon and 5K. The course winds its way through the natural beauty that is North Carolina’s Outer Banks for 13.1 miles. Athletes can also join the OBX Wind event, taking full advantage of the coastal air fluctuations and challenging wind surfers from around the world in a premiere competition on Hatteras Island. Along the same stretch of shoreline, birds begin to fill Pea Island Wildlife Refuge and can be observed during walking tours or seen in wildlife exhibits at the visitor center, open 7 days a week. Thousands of neotropical songbirds return from the West Indies and Central and South America to breed and nest in our maritime shrubs. The first ever Outer Banks Spring Scare Fair is coming to Secret Island in Kill Devil Hills this April, featuring two days of spooky treats, creepy curiosities, monster photo ops, and more from a curated collection of local and visiting vendors specializing in the strange and unusual. 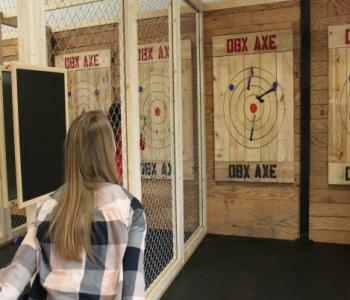 Test your skills at the area&apos;s newest attraction of urban axe throwing at OBX Axe Throwing, the only location you where you can practice your inner warrior by hurling an axe across the room. 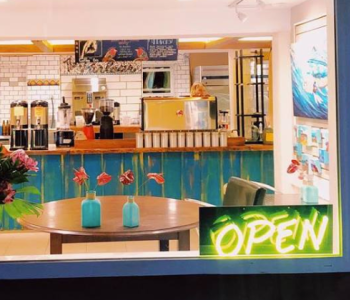 Afterwards, simmer down with an iced coffee or personalized drink at the newly opened Ashley&apos;s Espresso Parlour, not only a coffee shop but a gathering place. 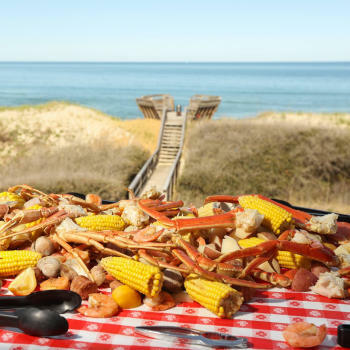 Stayed tuned for updates on our newest restaurant, Outer Banks Boil Company, specializing in the traditional "Coastal Boil" and coming soon in the Dune Shops MP 4.5 on the by-pass in Kitty Hawk. 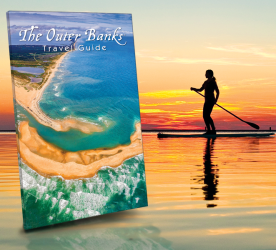 Spring is just getting warmed up on The Outer Banks, so there’s no better time to start planning your next adventure. 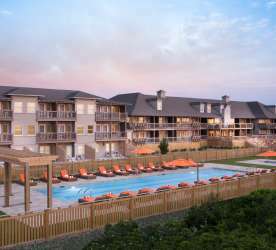 From rental homes on the edge of the sea to hotels rich in amenities, find the perfect coastal setting for a spring or summer getaway. Mark a date off on your calendar today and get ready for an East Coast retreat that’s just as serene as it is exciting.